Jane Doe, was visiting Florida on business (the name of the Plaintiff and the location of the incident is being kept private due to privacy concerns for the victim). The victim, a single mother, was staying at a local hotel in a Florida beach town. Upon arrival, while walking towards the room, she was approached by a man who was working for a local restaurant, handing out menus and coupons. The man was hired by the local restaurant to solicit customers on the street and on hotel properties. There was a brief conversation between the two, when she accepted one of the menus/coupons. A few hours later, the man returned to her room, climbing up to the second story balcony, breaking into her room and attacking her. After a long struggle, the victim was able to break free of the assailant and run to safety. 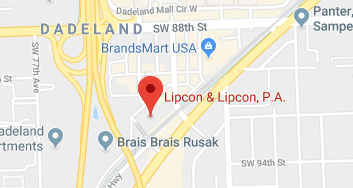 The victim, hired the law offices of Lipcon & Lipcon, PA. David W. Lipcon, a Miami lawyer, well experienced in premises liability/negligent security cases, such as these, launched an investigation into the incident. He discovered that the assailant, hired by the restaurant, had a long and extensive criminal history including other incidences of aggravated battery and breaking and entering. Further investigation revealed that the hotel, where the victim was staying, had left a ladder where anybody from the street could gain easy access to the second story balconies. A confidential settlement was first achieved against the hotel. Suit was later brought against the restaurant for, amongst other things, negligent hiring, retention and supervision of the employee. It was alleged by Lipcon that the restaurant failed to provide a proper background check, or in the alternative, completely ignored looking into the background of this violent offender. After contentious litigation, a settlement was eventually reached with the restaurant, as well, just prior to trial. That settlement, pursuant to an agreement between the parties, must remain confidential.